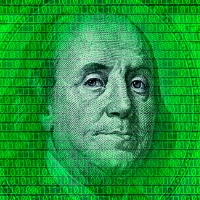 The chasm between America's top income earners and the middle class is widening in nearly every major metropolitan area, with San Francisco leading the way. 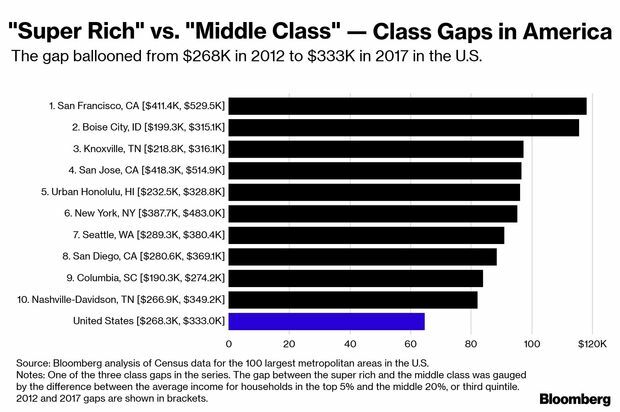 The tech hub's "super-rich versus middle-class" gap swelled by $118,000 to $529,500 over the past five years, as the top 5% of households earned $632,310 in 2017, compared with $102,785 for the middle class, according to the Bloomberg analysis of U.S. Census data. The San Francisco metro area ranked No. 12 in last year's index comparing the gap between households in the top 5% versus those in the middle 20% or third quintile.